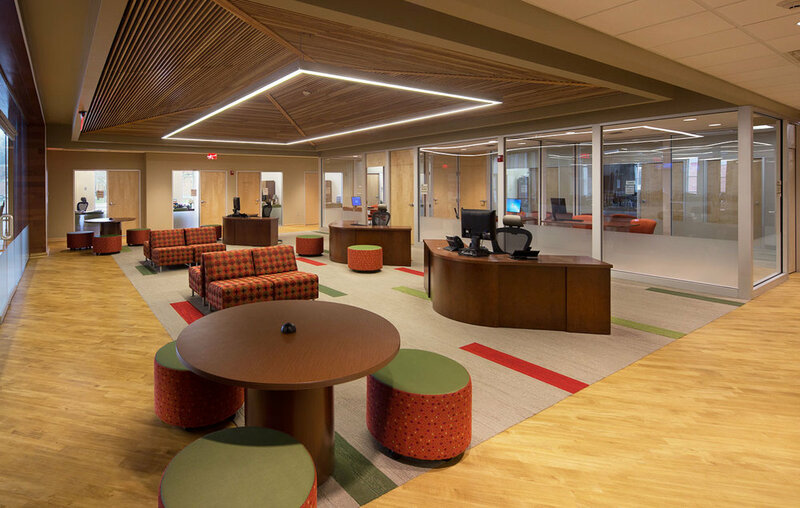 A strong use of geometric shapes, interesting materials, patterns and textures make walls and ceilings a bold statement for this 18,700 sf student center renovation. The combination of windows and reflective surfaces bounce light into all corners of each room and bring nature in. 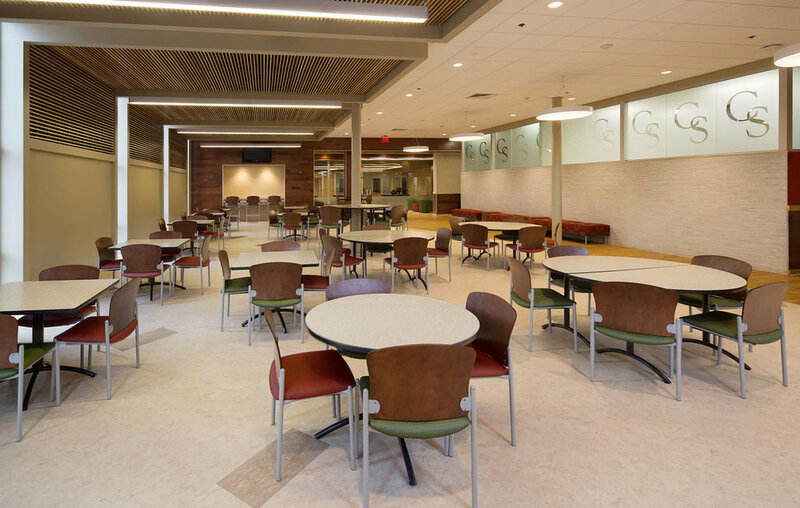 The project includes space for One Stop Student Services, Financial Aid, Testing Center, Counseling, Career Services, Student Government, bookstore, and cafeteria.